Redeem Codes: Sandbox, Sandbox, Sandbox! Ok, neither of the titles are an actual sandbox, but the Division offers far more plentiful exploration options when compared to destiny. In fact, there’s far more exploration options in the Division when compared to most other theme park MMOs. The Division offers way more options than just collection ghost shells, as Destiny did, but the former actually has much more to find. Missing agents, documents on what happened in New York, and, of course, tons and tons of loot can be found in the above ground and underground. A nifty bonus to this is that it actually levels your character. While the loot system is more refined in The Division from the system found in most MMORPGs today, it is different from Destiny in spite of some similarities. The similarities are mostly about the color-system describing at first glance a weapon’s rarity and about bosses always dropping the good stuff. Since this is true for all games in the genre it doesn’t make The Division a Destiny “clone.” The loot is so much more than having Legendries in Destiny. In The Division, you actually have OTHER pieces of equipment that enhance your game that include, but are not limited to, weaponry, armor, clothing, weapon mods ala CoD, and plenty of other fun stuff. It then shouldn’t come as a surprise, with the facts stated in the previous paragraph, that PvP feels entirely different as well. Given the combat differences of the two games, the only thing left to discuss in this section is the manner in which players engage each other. Destiny, as most of us know, is akin to the typical FPS deathmatch arena with or without objectives. You basically queue up and you get into a fight. 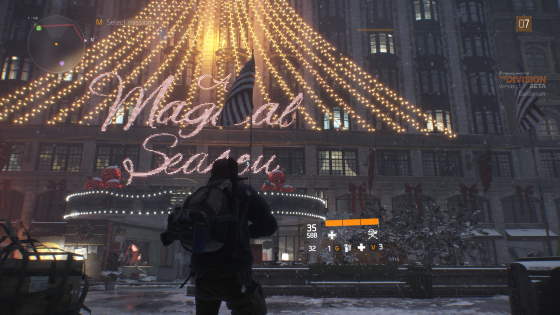 In the Division, there are no such things and it’s much more similar to DayZ in this regard. 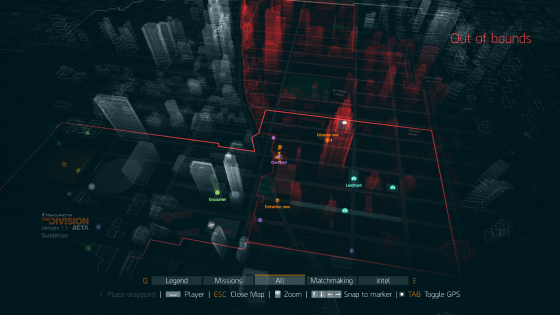 The open world, sandbox known as the Dark Zone is the only arena you’ll ever need. Take care of getting backstabbed in there.